Back to School on May 29! Build the bridge is a series of articles that showcases international entrepreneurs who foster business collaborations across the world. In this week's Build The Bridge Morgan Hermand-Waiche founder and CEO of Adore me share his story with us. 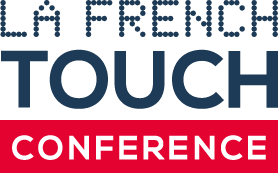 Did you know the 5th edition of La French Touch Conference New York will have a European Touch? To celebrate this bridge between New York and Europe we decided to spice our newsletter up with a little European Touch! Friday Inspiration #20: European Tech, To Infinity… And Beyond! Build the bridge is a series of articles that showcases international entrepreneurs who foster business collaborations across the world. In this week Build The Bridge, Michael Pryor, CEO of Trello shares his experience about Trello's expansion in France, and gives you advice to succeed in going global. Frenchies, veggies and two more editions of La French Touch Conference! This article was originally published in the newsletter we share every Tuesday with our community. Like every week, we made a recap of the news from French, European and International ecosystems: startups raising money and expanding abroad, French accelerator investing in Asia, the romance between hip-hop stars and startups, inspirational quotes, and more! We sat down for a chat with Gaël Duval, Founder, and President of La French Touch Conference. Entrepreneur for more than 20 years, (he is the founder of many digital startups, BBDO-B2L and Nextedia notably), Gaël is the Founder and President of JeChange, the first free personal digital assistant dedicated to the price reduction of energy and telecom bills for private individuals and businesses. The French entrepreneur, also a business angel, is very invested within the entrepreneurial ecosystem, being one of France Digitale’s co-founders. After launching La French Touch Conference in 2014 and organizing 7 editions in the cities of New York, Paris, and San Francisco, he retraced this amazing journey with us in an interview.